Thimphu is the biggest town in Bhutan. It seems to be in a hurry to become a city but like all the places in Bhutan that I visited it is so beautiful and charming. It didn’t feel like a big city at all. Takins are weird to look at. It feels like they have a small cow’s body and a goat’s head. It is a goat antelope, whatever that may mean! The legend of Takin goes back to the divine madman of Bhutan Drukpa Kunley. It is said that he was fed a whole cow and a whole goat for lunch. When the bones were left he put the goat’s head on the cow’s body and the Takin was born! 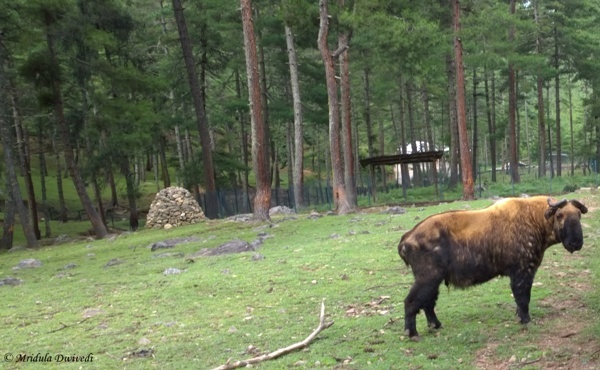 There is Motithang Takin Reserve in Thimphu where you can see the national animal with relative ease. 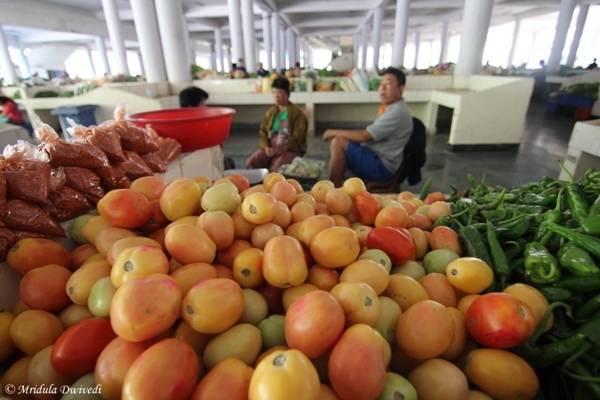 As we were passing by the local vegetable market in Thimphu, we went and took a stroll. I was amazed as to how clean it was. In fact whatever I saw in Bhutan, it was absolutely clean! 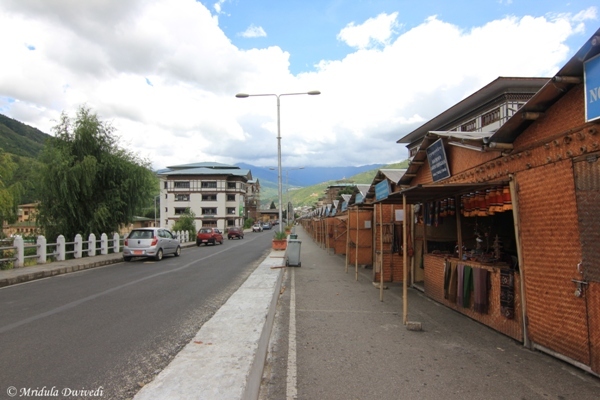 The crafts market at Thimphu is expensive to shop at. People accept Indian rupees everywhere and the Nu exchanges on par with the rupee. Shopkeepers don’t really bargain. An average tourist coming to Bhutan has to spend 250 USD per person per night and I guess that explains the prices and the lack of bargaining. The crafts market is next to the Taj Tashi hotel. The National Memorial Chorten is dedicated to the third King Jigme Dorji Wangchuck and to the world peace. It is close to the city center. It is a small monument where you can see a lot of people doing their Buddhist rituals. 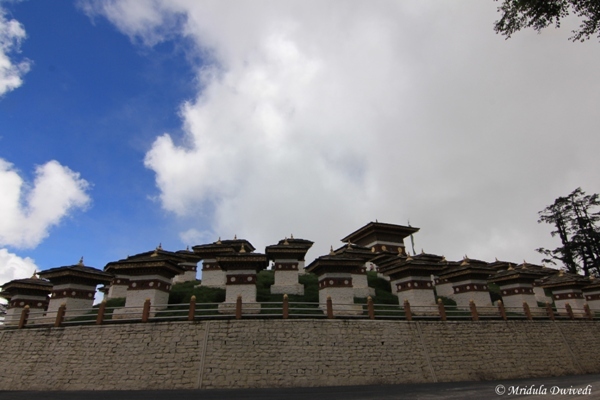 We didn’t had time to go to the Tashichho Dzong in Thimphu. So I had to be satisfied with a far away view. If you peer hard you can see it close to the mountains. Simtokha is said to have been built in 1629. We did a quick tour of the dzong and it was impressive. The main prayer halls of all the dzongs I visited were no photography zones. The main prayer hall of Simtokha was huge and exuded peace from every corner. 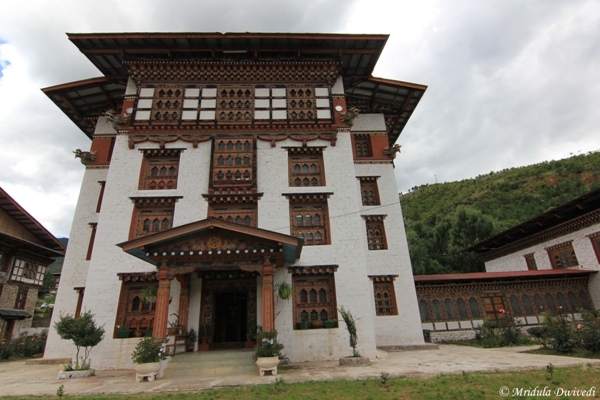 The National Library at Thimpu is an impressive building. It has a lot books, mostly religious, after all it is the national library. But it has a massive display of pictures on the walls as well. The pictures are of the kings and the dzongs. It was quite an impressive collection. I bought a book from the library called The Dragon Finds its Voice by Bunty Avieson. It was a very good decision to buy the book as it gives a good insight of life at Bhutan. 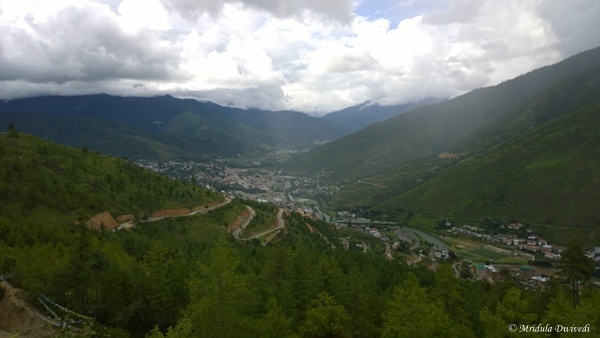 Buddha Point gives a beautiful view of the Thimphu City in almost all the directions. When I was there construction was going on at the site. Dochula Pass is on the way to Phunakha. 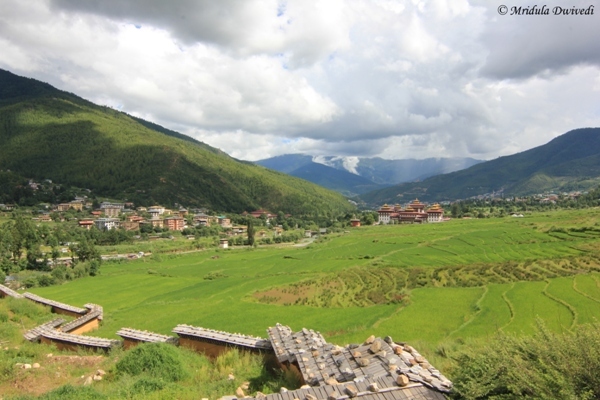 It is just outside the Thimphu City. You can visit it as a destination in itself. There is a restaurant at the pass. On a clear day I am told that you can see high mountains. But you know my tale since 2013, all I saw was the clouds! And this is the giant Buddha at the Buddha Point. It is an amazing site. 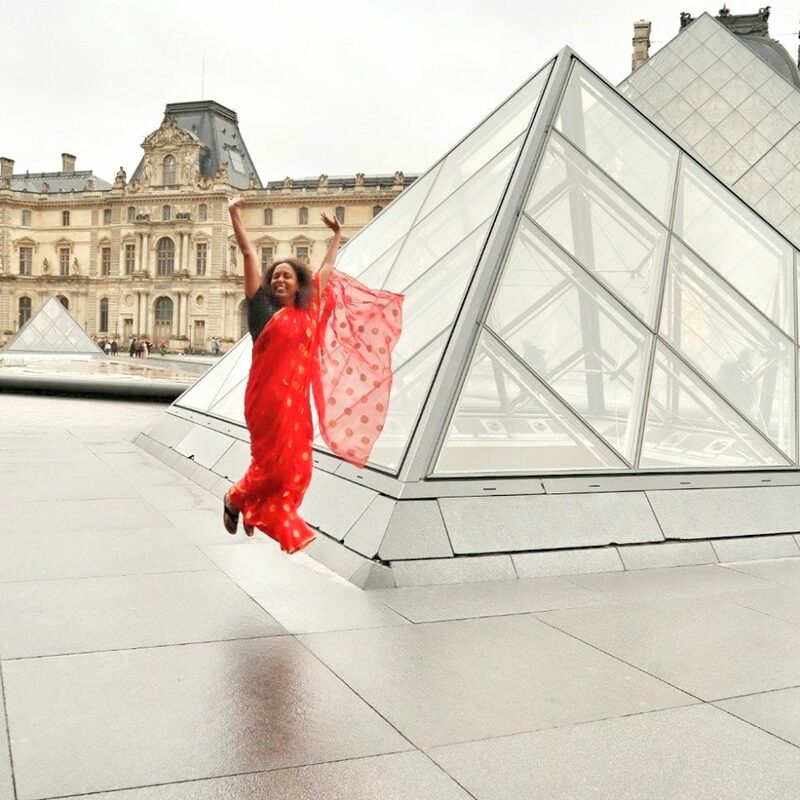 I loved it for the atmosphere and the beautiful view of the city it provided. 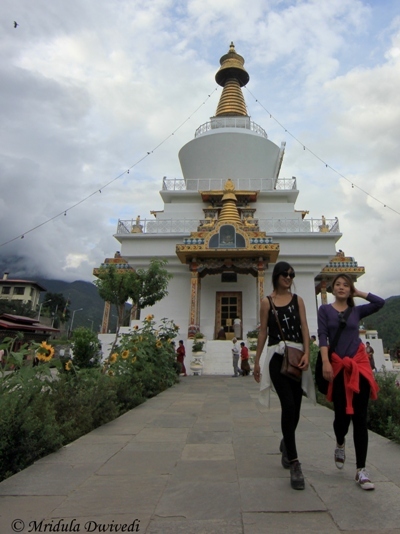 As you can see from the post, there is a lot to do in Thimphu and I am sure I have just scratched the surface as of now! PS. 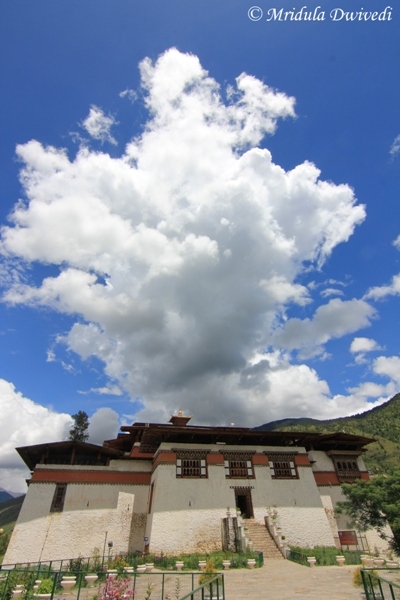 I was invited by Makenytrip to Bhutan. And they have got me hooked to the country! While writing this post I must have thought at least a 100 times that I have to go back. Let us see when. Prasad I too want to go back! Yes there are similartities with Nepal for sure! Awesome collections of pictures ! Hey globetrotter! Nice pics as always. Is Bhutan that beautiful??!!!??? Saw wonders of the place through your lenses. Great ones! Oh, how I’d love to visit Bhutan! Lovely shots. Lovely snapshots 🙂 The thimpu city view photograph is WOWsome! Thank you so much Divsi. Thimphu looks magnificent. Lovely captures! What a lovely and peaceful country! 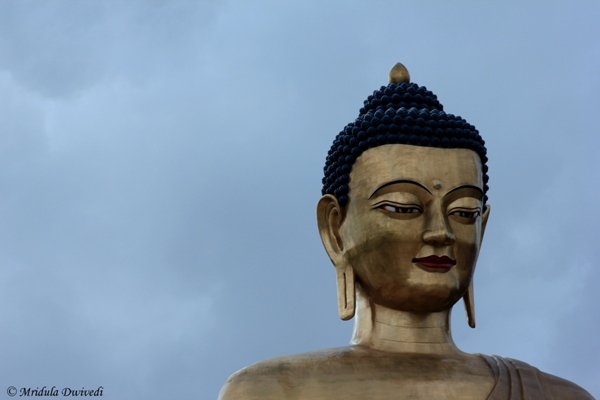 Looking at these wonderful photographs and reading your experience itself I feel like visiting Bhutan once in my life! Such a beautiful land! Sindhu do plan it and if you need any tips let me know! Amazing pictures, Bhutan is on my list since such a long time.